I was recently offered the opportunity to purchase this impressive acrylic award for $110 dollars from a company. I declined the invitation for two reasons. First, the award is a shameless marketing scheme from a business that sells fake honors. Secondly, the use of “best” by an attorney in advertising materials violates Rule 7.1(c) of the Maryland Lawyers’ Rules of Profession Conduct. This rule prohibits an attorney from comparing “the lawyer’s services with other lawyers’ services, unless the comparison can be factually substantiated”. According to Maryland Bar Counsel, a Maryland attorney should never use superlatives, such as “top”, “super”, “premier”, “best”, “most aggressive”, or “most successful”, because “it is almost impossible for the lawyer to factually substantiate” such claims. 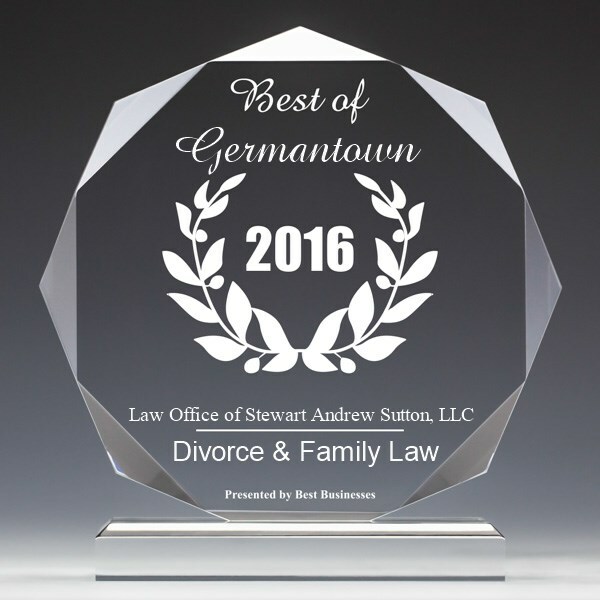 My advice to clients is to disregard all advertising that claims that the attorney is “super”, “best”, “top”, “greatest”, or “most” when searching for an attorney in Montgomery County and/or Maryland.